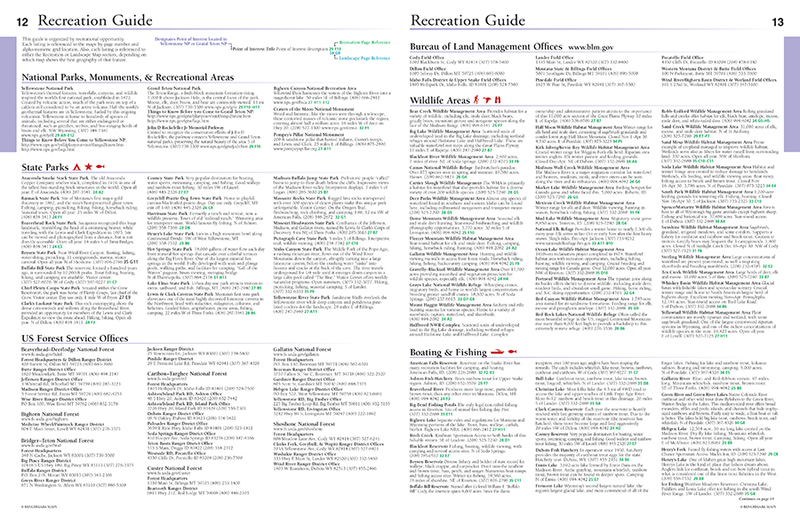 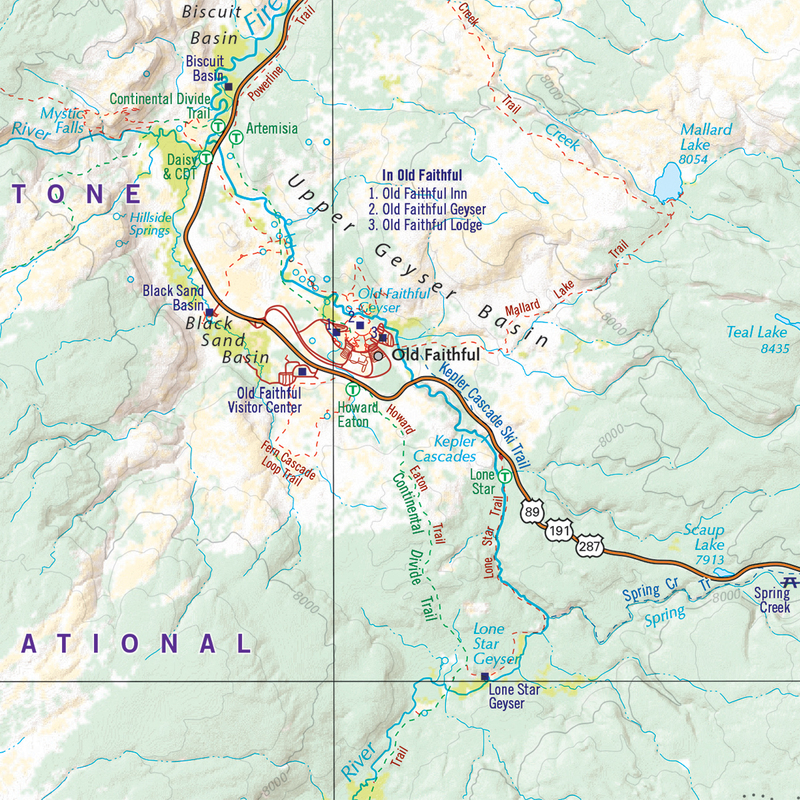 Map Scales:Recreation Maps 1:600,000 1" =9.5 miles. 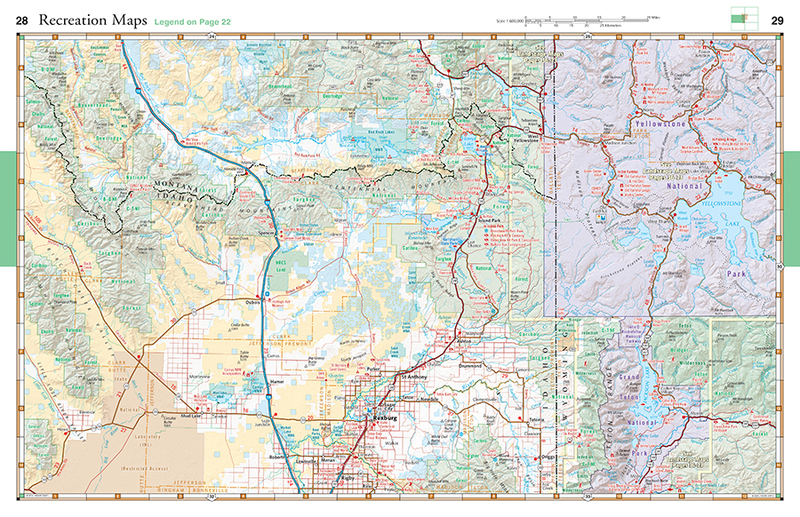 Landscape MapsTM 1:100,000 1" =1.6 miles. 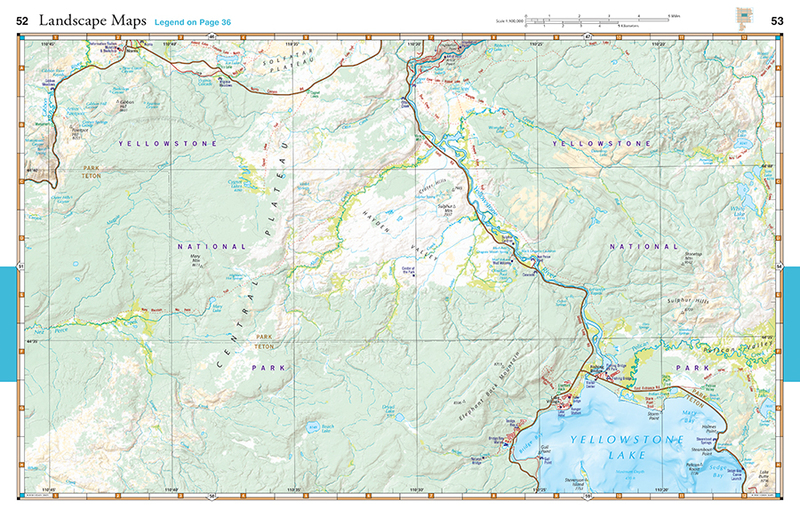 Landscape MapsTM with geographic detail from Atlas of Yellowstone and recreation detail from Benchmark's series of field-checked Road & Recreation Atlases for the 11 Western States.